Stuffed peppers is a classic of Italian-American cuisine. The recipe below is an easy-to-make version of the classic. 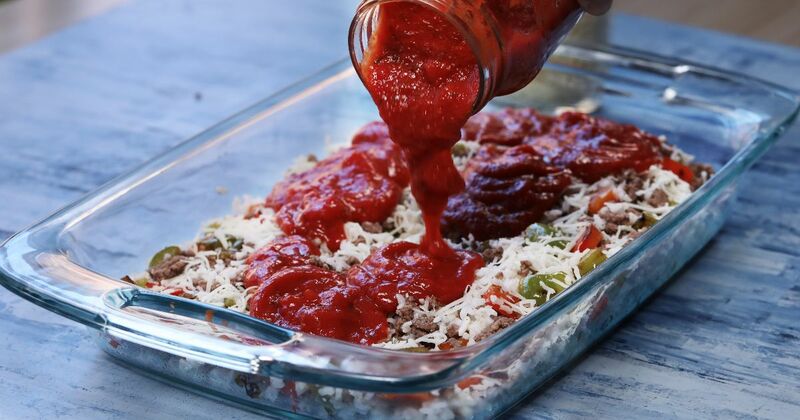 Think of it as a sort of deconstructed stuffed pepper casserole, where the peppers themselves and the stuffing are all mixed together and topped with lovely, bubbly cheese. 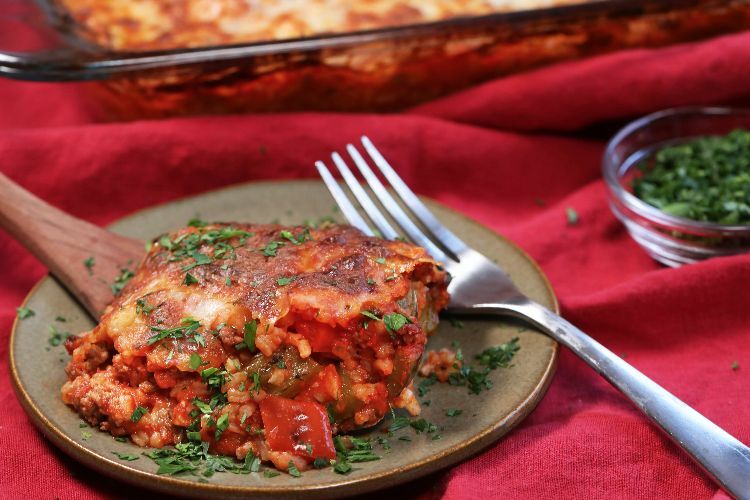 Use your favorite jarred marinara sauce for this dish, which will lend all of that lovely, herby flavor to the peppers. You could also lighten it up by opting for ground turkey instead of beef. Brown the meat in a skillet and set aside. Drain excess grease. Add the peppers to the pan and brown. Combine the meat, peppers and cooked rice in a bowl. Place this mixture in a casserole dish. Add marinara sauce and a handful of the cheese and combine. Top with the rest of the cheese. Bake for 25 minutes, until the cheese on top is bubbly and slightly browned. Yes, even a classic can be improved upon with this playful take. This super-tasty beef casserole dish is sure to be crowed-pleaser!